In much of the South, the issue of the Civil War was not slavery or the legalities of whether a state had the right to secede. For many white Southerners, the issue was: Which is my true country, the United States or the Confederate States? 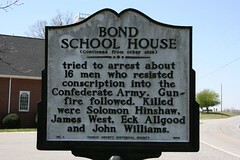 In many places, loyalty to the Confederacy was the rule. 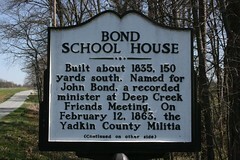 But in Yadkin County, N.C., fierce conviction gripped both sides of the question, culminating in a February 1863 gun battle that traumatized the county for generations. ... An intricate web of kinship and economic interdependence knits together the region’s family farms, many of which were first tilled by frontiersmen and veterans of the Continental Army ... [whose] descendants remained loyal to the Union they helped to found. 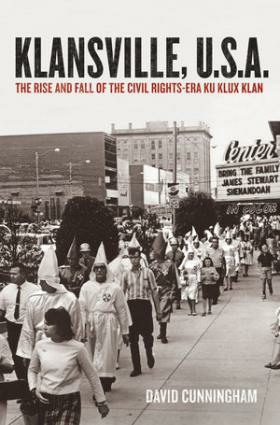 At its peak, the Klan had more than 10,000 members in North Carolina. 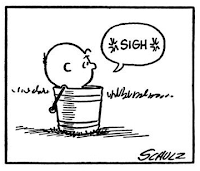 "Almost every night of the year in the mid-1960s you'd see a Klan rally somewhere in North Carolina," Cunningham says. "It was kind of a skewed county fair environment. They listened to live music, bought Klan souvenirs, and ended the night with an enormous cross-burning." NC's relative progressivism during the Civil Rights era fueled the more reactionary response. The Tomb of the Cybermen - "If anyone wishes to leave they must do so at once. Not you, Jamie!" So, Klieg, whatcha doin' there? There's a clumsy attempt to make Boolean logic a part of the story, but that's never done in a way that I think was meant to fool anyone but 6-yr-olds. You just can't expect much of the technobabble to make sense in these old stories. What I like about this episode though is the audience is shown, not told, that there are some questions that, had the they been asked, might have saved the expedition a lot of trouble, questions like: Where's the money coming from? What are the motives of the people funding the expedition? We can understand the desire to learn about the Cybermen, but it was surely the height of folly to go poking around their tombs blindly trusting that the only motive of all parties was simply the pursuit of knowledge. And, we can reasonably ask, was the pursuit of knowledge in this case worth the risk?, which is good practice for thinking about medical ethics and a host of other issues that are still relevant decades after this episode was produced. There's a great deal of skepticism about science in this one. 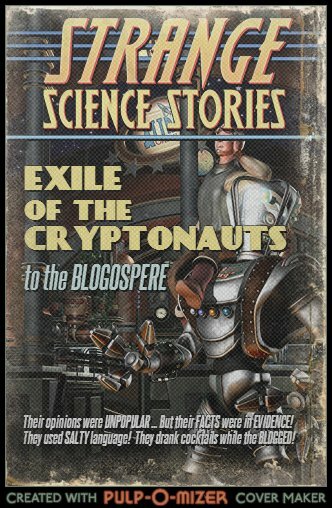 The scientist nominally in charge of the expedition is a short-sighted buffoon, so caught up in looking at cybertechnology, he can't see the peril standing right next to him. Klieg, is presented to us as a brilliant logician and scientist, but he's a megalomaniac. Then there's the archeologist chappie who's main character trait seems to be cowardice. If it weren't for the Doctor, you'd think the message of the show was "Scientists can't be trusted!" I chose the quote for this post title first because it made me laugh out loud when Troughton delivered the line, but it also speaks directly to the Doctor's willingness to pick up stray humans and drag them into insanely dangerous adventures. We can forgive the Doctor though, because ultimately Victoria and Jamie know what they're getting into. Or, at least they are making the choice to explore even though they don't know exactly what they're getting into. The Doctor is a Time Lord and he's got a TARDIS, so some of the risk is mitigated anyways. We aren't so forgiving of the members of the expedition to Telos though, who know, or ought to know, their technology doesn't stack up against the Cybermen. 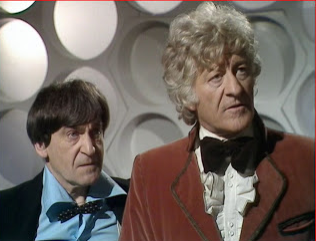 This is one where the Doctor looks more irresponsible in retrospect, because the fate of all the team hung on Toberman's ability to resist the Cyber Commander's programming. As long as we're talking about Toberman, let's deal with this instance of the mute, black strongman. (See, "Terror of the Autons" for another.) I mean, WTF? I know it was 1967 and the world wasn't quite to our level of post-racial harmony where black kids can walk the streets at night with skittles in their pocket comfortable in the knowledge they won't be shot down by a racist vigilante protected by NRA-sponsored laws protecting white people from prosecution when they hunt black people. But still ... it's very difficult to stomach this sort of portrayal even acknowledging that racist stereotyping was part of the TV landscape in the mid-20th century. If Toberman hadn't been granted the small measure of dignity of getting a heroic end, I'd be even less inclined to forgive this story. As it is, I'm reasonably comfortable that we can watch this without dismissing it as utterly hateful racist propaganda; instead, I think we can acknowledge that the production staff had some retrograde ideas about skin pigmentation we can understand as a product of the times and not quarantine it as unwatchable. We shouldn't deny it's a problem, nor should we just dismiss it as only a problem of a bygone age. Because, unless you missed the sarcasm earlier, we still live a society that deals with its disgusting history of savage oppression and cruel denial of basic human and civil rights by enacting voter ID laws and imprisoning an incredible number of black men. The other brilliant comic moment, by the way, occurs very early when the Doctor puts his hand out to guide Victoria (a young 19th century girl who lost her father in the previous story to the Daleks) into tomb of the Cybermen, through a door that just electrified another member of the expedition. The funny bit is that Jamie reflexively grabs the hand offered to him, and both he and the Doctor react with a classically awkward heteronormative hand-dropping. The crazy thing is that he is bringing Victoria and Jamie into what is clearly a dangerous situation. GIF-able moment if there ever was one. 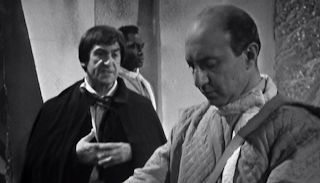 If this story were nothing more than it's plot and atmosphere, it wouldn't have much interest to us, but because of the themes and the great chemistry between Patrick Troughton and Frazer Hines, it stands out despite being a little over its own head. Sure, you could watch the Oscars with the bulk of the twitterverse, but you'd be much better served watching this classic Doctor Who instead. They did a nice job putting together a special for The Aztecs last month, so I'm very much looking forward to his edition and the presentation of The Tomb of the Cybermen. This is a great opportunity to not watch Seth McFarlane try to wring a few laughs out of Ted which, if it were going to happen, would have at least once during the entire feature film devoted it. Watching black-and-white, scientifically-dodgy-but-oh-so-charming British TV that's even older than me will not only give you far more to laugh with and occasionally at (and I mean the dialogue, not just the special effects), it will prepare you for full-on geekgasm later this year when we get the 50th anniversary special. Besides, following a few clever tweeters and watching their feeds out the corner of your eye will give you all you need to know about the Oscars, without actually enduring it. Heard the tail end of this on the way to the vet's this afternoon so I came home to catch it from the beginning. What caught my attention was the discussion of how the formulation of non-ambiguous questions and the perspective of the philosopher working with the scientist to design studies is helping to increase our understanding of the roots of psychopathy. Related: Dr. Michael Caldwell on the treatment of psychopaths. In case you're wondering why the atheism label on this post, it's meant to underscore that philosophers and scientists can work together because they are both honestly engaged in attempting to gain a deeper understanding of reality. They are not working in the magisterium of the theologian. I'd already applied the label before I had listened to the point the discussion turned to theism, the Problem of Evil, and religious morality. 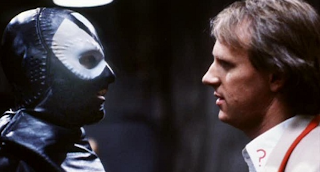 The Caves of Androzani: "Is this wise, I ask myself?" I love and hate this story. That is to say, I love it because it's one of the better stories of the classic series and I hate that it means the end of the Davison era -- and it's all downhill from here. Sure, there are a few bright spots even as the series lurches through its death throes, but there was nothing better for twenty long years of experienced time on the audience's part. I wanted to like Colin Baker, I really did. And I think he could have been a fine Doctor except for the misfortune of landing the role as the show was being run into the ground. Nicola Bryant is much more at ease and playful as Peri in this one than she was Planet of Fire, bantering with Peter Davison as they explore the sands of Androzani Minor and a little later when she and Five were finishing each other's sentences with sirs for the General; it's a shame they didn't have more time together. She also gets to ask a pertinent question about part of the Doctor's "costume," so we know the celery is, somewhat puzzlingly, meant to alert him the presence of an allergen (which, if he's allergic to the stuff, you'd think he'd know by the allergic reaction) and just be a healthy snack. It's not all light-hearted quipping though, not by a long shot. Davison is occasionally sharp and callous (as when Peri falls into the raw spectrox: "Probably harmless," "But it stings," "Well, don't fall in any more of it,") traits that will be overplayed by his successors in the classic series, and Five's death blow is (ignominiously) dealt to him early, though he won't realize it for a while. Sharaz Jek is not the main villain of the story, though he's an interesting one with kind of observational powers that make him compelling. He tells the Doctor: "You have the mouth of a prattling jackanapes... But your eyes... they tell a different story." He is also transfixed by Peri's innocence and beauty, so the viewer immediately feels a certain sympatico. Jek raises some interesting questions about the nature of the Doctor's relationship with his companions. Jek would like to keep Peri around as a reminder of what it is to be uncorrupted, but ironically, she'd probably be just as safe, though imprisoned, with him as running around getting into adventures with the Doctor. It's mad, when you think about it, that he travels with companions. They're always in terrible danger and, much as he'd like, he can't protect them from all of them. The current show makes a point showing us he needs companions to be his best, but to some extent that runs the risk of reducing them to crutches for the Doctor instead of autonomous, fully-realized persons in their own right. Five, like Nine does later for Rose, and Ten does later for Wilf, sacrifices himself to save Peri, recognizing that she is every bit as important as he is and that he, with the ability to save her, has an obligation to do so, even if it means sacrificing himself. Or, at least, an aspect of himself. As a quibbler, I feel obliged to quibble about a couple things: first, about that spectrox, I'm surprised the Doctor has been to this system before but didn't know what that (tremendously valuable, widely known) substance was; and, second, he calls a die a "dice." When there's only one, it's a die. C'mon, Doctor, you should know that. 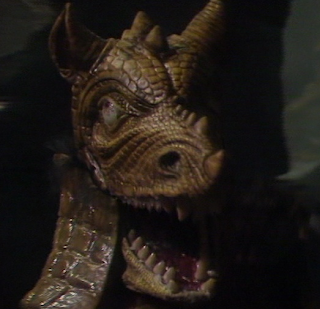 Oh, and I nearly forgot about the magma monster -- not very magmanificent. It's like they said, "Hey, we're shooting in a bunch of narrow hallways dressed as caves, there ought to a monster shambling around down here ... what, no budget? Well, toss something together anyway!" Ultimately, this one one you need to have in your collection. Tea with Morbius (a nod to one of my favorite episodes, and another Holmes-penned -- with Dicks, under a pseudonym -- tale involving a mad scientist and a Fountain of Youth substance) rightly elevates this story over some of the classic series stories generally mentioned as being one of the best ... though I'm surprised anyone gets that excited about City of Death, one of the more tedious Fourth Doctor entries, as I remember it. The origins of such usage likely can be found in text-based role-playing games in MUDs (Multi-User Dungeons/Domains), which were superseded by IRC and instant-messaging interfaces. As one "Role Play Manual of Style" explains, "Actions are enclosed in asterisks and written in third person perspective." But this type of asterisking has thoroughly infected Usenet posts, blog comments, tweets, and anywhere else online that people feel the need to describe real-world actions in a virtual space. So, by giving yourself your own stage directions enclosed in asterisks, you treat your own words as lines in a play, and then step outside of your character to give the perspective of the playwright in the play you're acting in. It's all so meta. 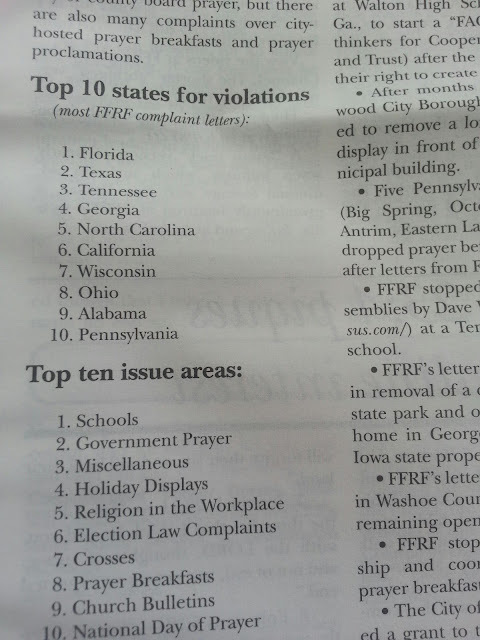 I see we're fifth on the Having Problems Understanding The Value And Importance Of Secularism List. Ahead of even Alabama, which leads me to believe some states are under reporting. 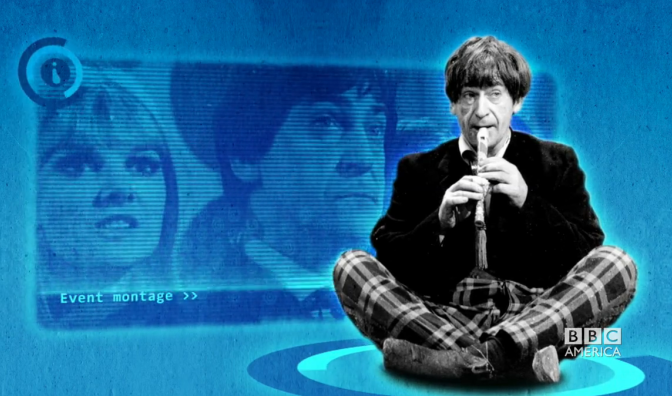 In which we meet Peri and say farewell to Turlough. Oh, and good riddance to Kamelion. Leading up to the classic Caves of Androzani, we have this minor gem of Davison's run. It's not a top-tier story; but, it has the Master, location shooting (much-needed, seldom done), a worthy theme (skepticism), some chuckles (mostly at the short shorts), and -- perhaps foremost -- it has Peri. Peri in a pink bikini. It's enough to wipe away the memory of guys running around in what look like dong diapers, not to mention Mark Strickson's ridiculous shorts and stripey socks. 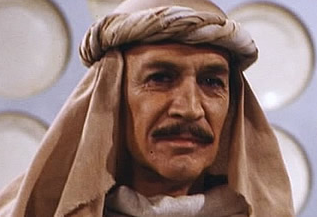 between Peter O'Toole and the Iron Sheik. The story opens with a pair of intrepid skeptics hiking up the local volcano to see if the there's a really a deity living there. There isn't. This isn't the kind of news the ruling clergy class, namely our man Timanov, wants to hear. Clinging to delusions to maintain his authority, he makes himself a pawn of the Master, who makes sure he lets Timanov know exactly what he thinks of him when there's no more need more deception. It's all a bit heavy-handed, but there's undeniable pleasure in watching a maroon having to stand there while he's called a dope. Shady Turlough is shady, but he gets to be a stand up guy on the way out. It's a satisfying departure. 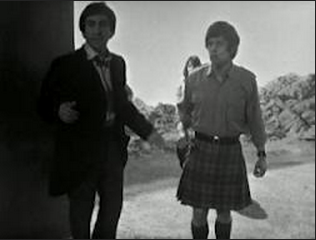 Kamelion, well, he's a big part of the plot and he's the chief weakness of the episode. He just doesn't work, on any level. 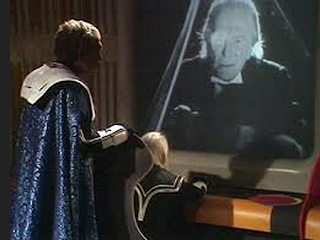 The mini-Master, on the other hand, in a little box in his TARDIS is adorably malevolent. Peri and that famous pink bikini. Davison has a only one story left after this, and then series begins a steep decline. Sure, there are a few bright spots between Davison's departure and Eccleston's arrival, but the they are few indeed and far between. support local businesses, work, and pay taxes in North Carolina. 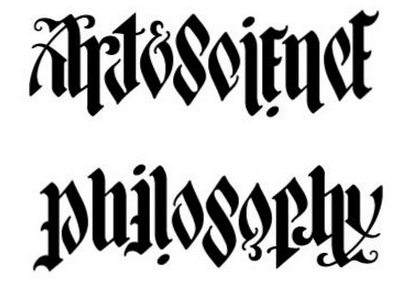 Simply put, the study of philosophy made me a better person. That it has actually helped me succeed professionally is just a bonus. Does philosophy prepare people for the “real” world? As a matter of fact, I think it does. Does this mean everyone should major in Philosophy? Of course not. 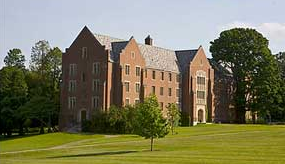 An intro course as part of a liberal arts education should be an option open not only to those who can afford private school, though. Not everyone who takes Philosophy 101 will fall in love with it like I did. Then again, not everyone who takes a biology course goes on to medical school, and not everyone who takes a required course on U.S. government goes on to law school. I’m quite sure I would have failed as a doctor or a lawyer, or at least have been very unhappy. But I’m a good philosopher. 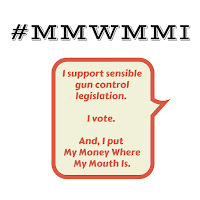 I know that’s important, even if Pat McCrory doesn’t.